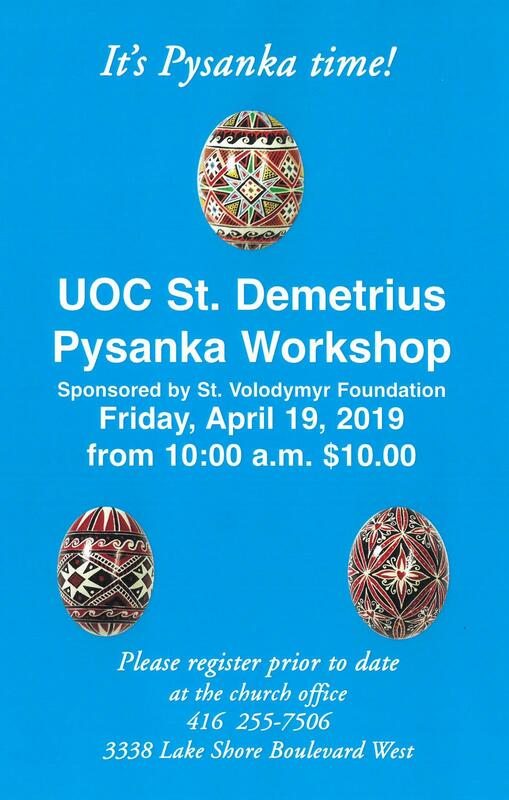 The 2019 Pysanka Workshop (Easter Egg writing) will be held on Friday April 19th at St. Demetrius Church hall. Event starts at 10:00 a.m. Admission $10. Please register prior to the date (i.e. BEFORE FRIDAY) thru the church office (416) 255-7506 at 3338 Lake Shore Boulevard West. Sponsored by St. Volodymyr Foundation.